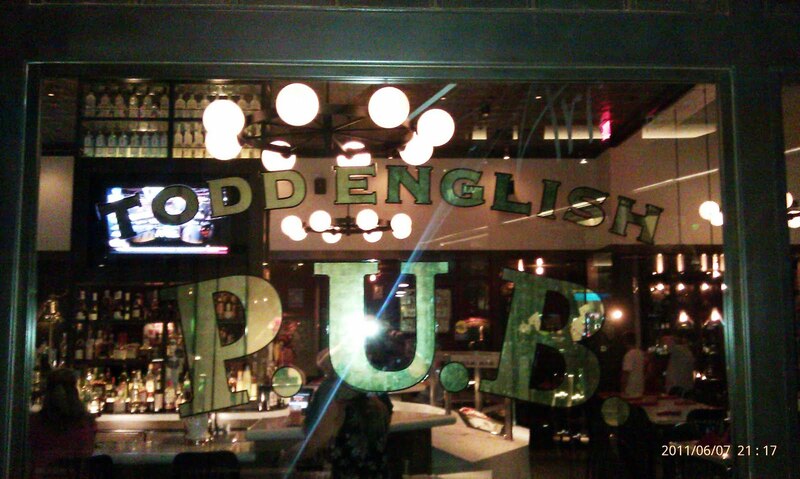 I had a backup plan in the event that OLiVES did not live up to its former glory, and that was to try Todd English’s other Las Vegas stop, Todd English P.U. B. (Public Urban Bar). Surely the culinary might of Todd English would not let me down twice in the same day. This was my 3rd stop on my Las Vegas Burger Tour. P.U.B was located at Crystals/Aria, and it was buzzing on a Tuesday evening. I settled into a booth and was met with a wonderfully friendly and knowledgeable staff. Chef Hans Andersen spent a fair amount of time with me. I was taken by his enthusiasm and exuberance for food. We settled on the Single Stack burger with Cheddar cheese cooked to Med-Rare. The burger arrived about 10 minutes later. The Beef: All of the other burger meats at P.U.B. were ground in-house. In a baffling twist of logic, in the case of the beef, it was ground and pre-formed into 6 ounce patties at the supplier. The beef was 50% Chuck, 25% Skirt Steak, and 25% Brisket. The fat content was 15%, I was grateful for that, since this was my third burger of the day. The beef was mildly beefy, nearly absent in mineral flavor, but heavy on the funk. The beef was both dry and wet-aged, and this strong flavor carried through the bite and lingered on the palate overly long afterward. The burgers were only nominally juicy, and they were on the chewy side. The issues with the beef rested squarely on the purveyor, Desert Meats. Chef Andersen did indicate that he planned to grind the beef in-house just as he did the turkey and the bison. This will make a huge difference in the future. The Seasoning: The pre-formed patties had no seasoning in the blend, but they were well and properly seasoned on the griddle. The Sear: The sear was nominal since the patties were relatively thin, and I had requested a Med-Rare cooking temperature. 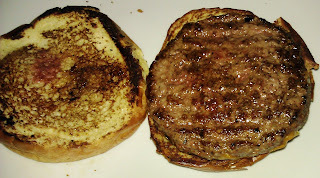 The sear pattern suggests that the patties were mechanically formed. The Preparation: The elements of preparation that were in the hands of the P.U.B. staff were solid. It was nearly baffling that they outsourced the main ingredient in the lead item on the menu. The Cheese: I had a number of cheese choices from Mozzarella to Whiz, but I went with the Cheddar. This was mild Tillamook Cheddar. It was lost in the funk of the beef and the relative dryness of the bun. 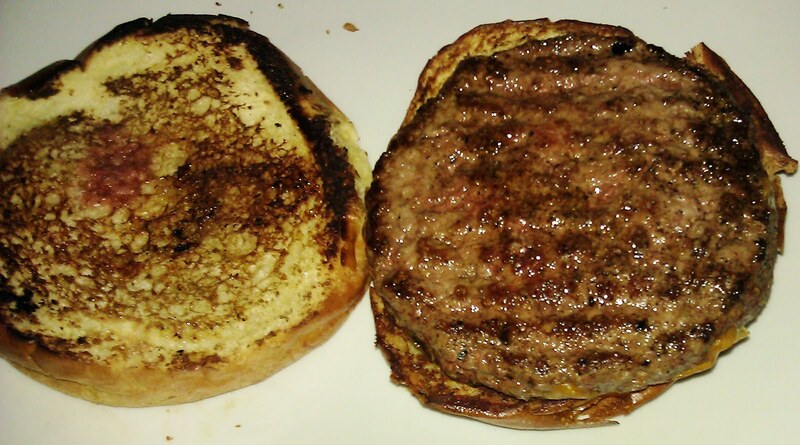 The Bun: The sweet brioche had a mercifully unbuttered exterior. It was sweet but not cloyingly sweet. The brioche was very tender and yeasty. The Meat To Bun Ratio: In fairness, I ordered a single cheeseburger, and the bun from Amato’s Bakery was tuned for the double stack cheeseburger at P.U.B. In the case of the single stack cheeseburger, the bun was a little too much for the beef. The Fries: The wedge fries were crisp and golden brown. They were creamy in the center, and they had been fried in a canola/corn oil blend. They were lightly seasoned. The Toppings: The Iceberg lettuce was crisp and fresh. The large tomato slice was hearty and juicy. 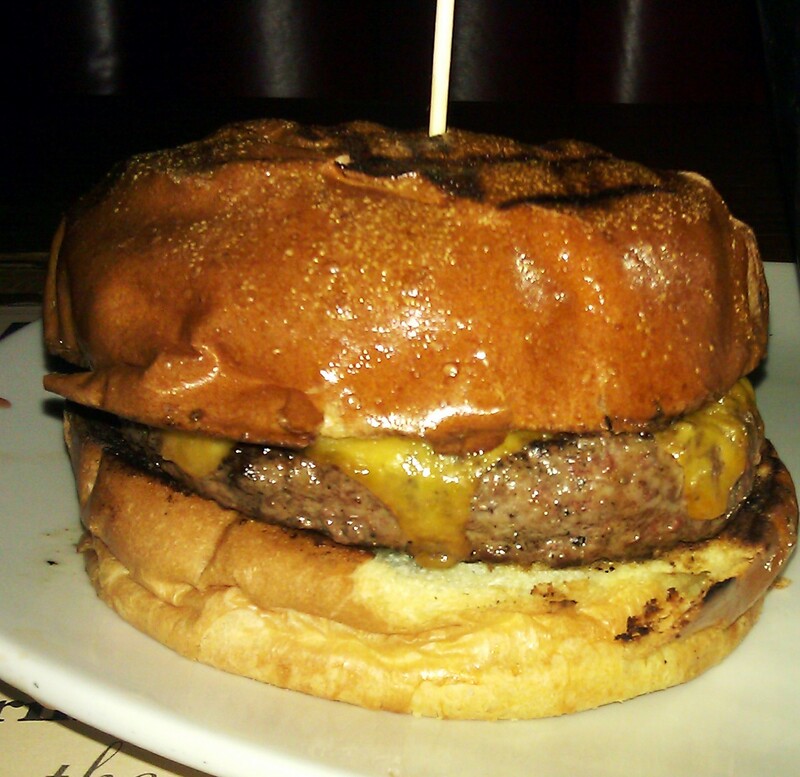 The Value: The Double Stack Cheeseburger at P.U.B. went for $17. I am unsure regarding the price of the single burger. They were kind enough to comp the burger, since it was not their best effort. I would really like to give P.U.B. and Chef Andersen a second try once they get the beef ground in-house. P.U.B. has all of the basics down, and the process was solid. This was a case of one weak element derailing the entire dish. Based on what I saw on my visit, I would suggest that both the house-ground turkey and bison burgers would be a win. It was baffling that P.U.B. was using a pre-formed beef product when so many other places were offering a freshly prepared product for a similar price. Chef Andersen is smart, eager, and capable. I would love to see him given free reign with the beef in the burgers so that he can create the burger of which he is capable. 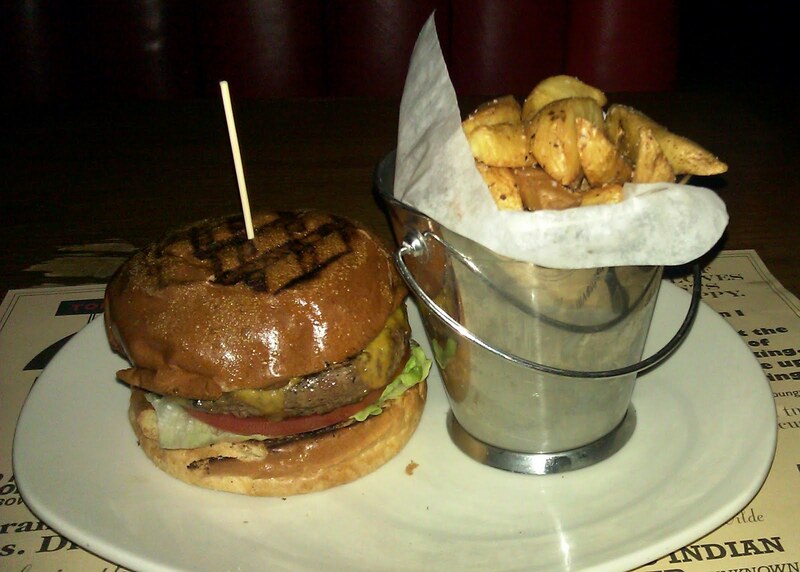 Burger Review : This was the tiny acorn that could become the mighty oak. I would hold off on Todd English P.U.B. until they create and perfect their own house-ground burgers.